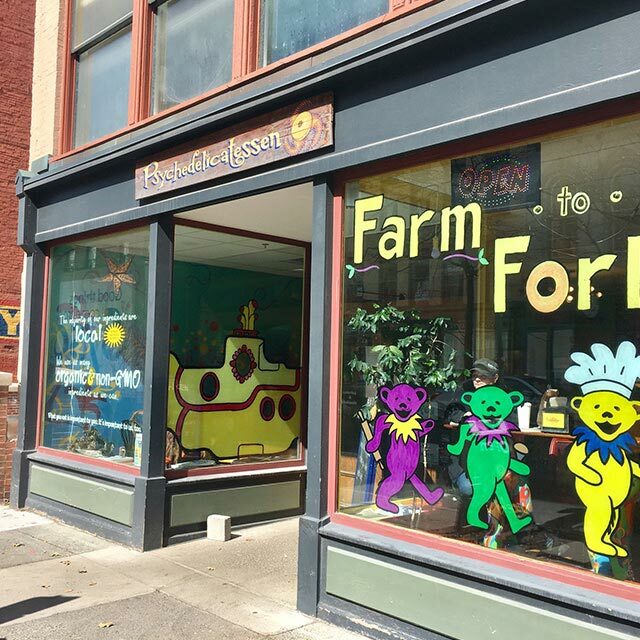 Troy is a neighborhood rich with culture and creativity. 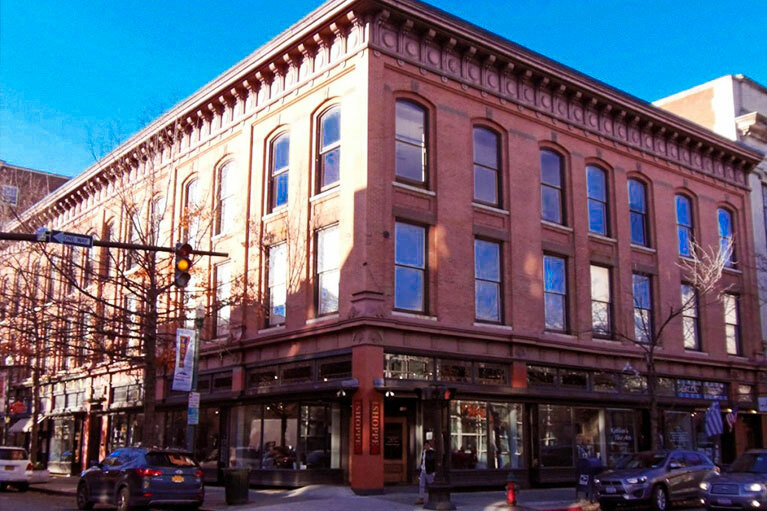 Explore the Arts Center of the Capital Region with its galleries and teaching facilities. Visit the Tech Valley Center of Gravity, a Maker Space which hosts events introducing the public to groundbreaking games, robotics competitions, culinary arts and all kinds of tech inspired creative endeavors. Attend a concert at the renowned Troy Savings Bank Music Hall which offers a year round calendar of performances. 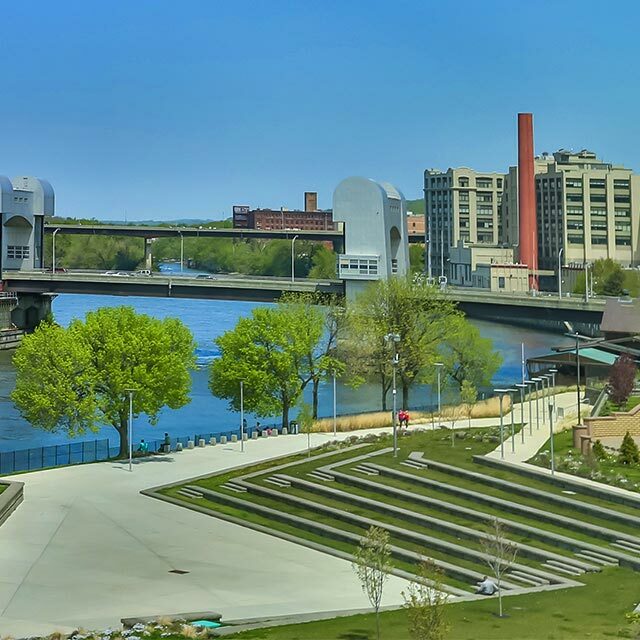 Take a stroll in the Riverfront Park and watch the sunset over the Hudson River. 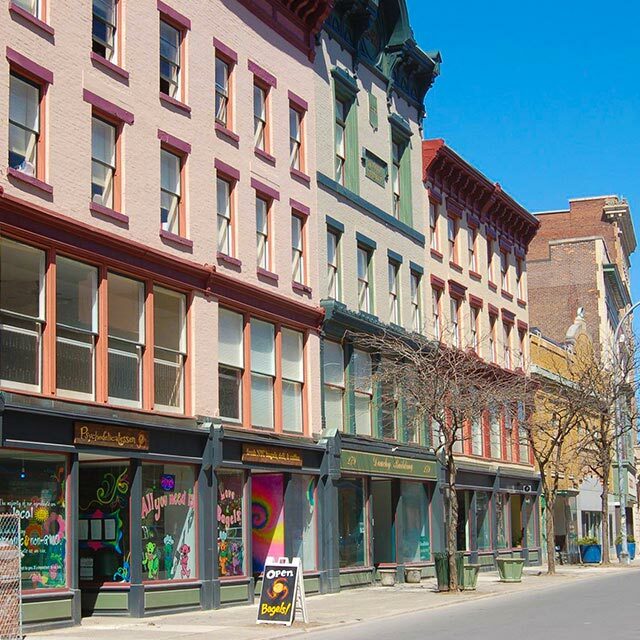 Explore the vibrant community of Downtown Troy where you will find some of the region’s finest restaurants as well as unique coffee shops and bakeries. Each Saturday shop for fresh and organic produce, cheese, meats and baked goods at the Troy Farmers’ Market, the area’s best farmers’ market. There is always something to do in this beautiful city on the water. 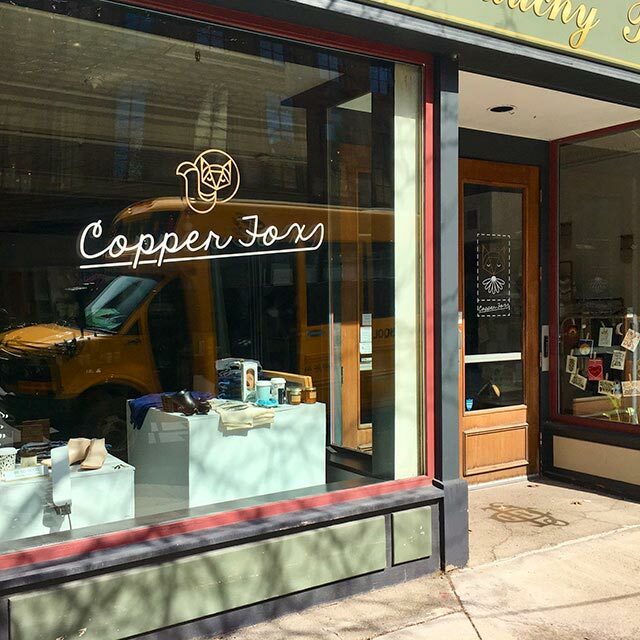 The Dauchy Building shares a home with these three Troy businesses all of which are staples of Troy’s downtown community. Psychedelicatessen Café, Copper Fox, and 3t Architects each bring something unique to the community. Grab a bite to eat, go shopping for a new outfit, and even see what new projects are developing all in one day.